→Is Pineapple Good for You? Many people ask me a questions, is pineapples good for health? As a medical student, I am always trying to answer their question according to the eye of medical science. Medical science and Nutrition expert believes, any food which supply Vitamins, minerals, energy or have an important role against disease is a healthy food. 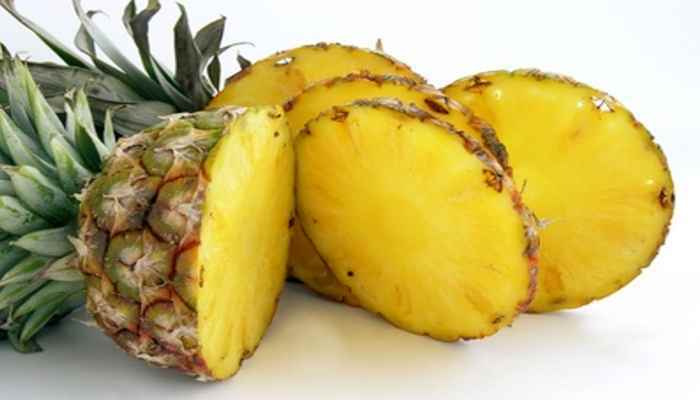 So if you want to know about pineapples than you should know about health benefits of pineapples. Then you will get the answer of your question. A pineapple is a tropical fruit which is found all over the world. It has an inner juicy yellow core when it is ripe. It is so delicious to eat. You know what; pineapple juice is one of the most popular juices especially for children. It contains all kinds of important food stuff. It’s mostly recommend fruits by the doctor. Pineapples can be found in local market in a cheap rate. One of the most important substances which are supplied by pineapple is Bromelain. Bromelain mostly found in the core of the pineapple. It is mostly known because of its anti inflammatory properties. It is very useful in sore throat, sinusitis, treatment of burn, wound, infection etc. A pineapple is rich in vitamin C. Vitamin C is a water soluble vitamin and one of the main antioxidant vitamin. Everyday huge amount of free radical produce in our body from the oxidation of food. This free radical is extremely bad for our health. They destroy our tissue. But vitamin C can help our tissue from destruction because it decreases the production of free radical. Vitamin c is also important because it can synthesis collagen. Deficiency of vitamin c causes scurvy. A pineapple is a source of vitamin c. so you should eat pineapples. Our body needs energy all the time to perform normal physiological function. Pineapples contain manganese and thiamin which helps in energy production. Manganese is a very important nutrient and thiamin is a water soluble vitamin. Pineapples are very helpful for maintaining eye health. It prevents macular degeneration of eye and relief from many age related symptoms of eye. Pineapples have important properties to decrease the chance of cancer. Research shows that, it can minimize the chance of breast and ovarian cancer. Pineapples contain Bromelain which is very useful for our body. It has anti inflammatory properties. It decreases the chance of flu and also helps to get rid of from cough. Pineapples can make your bones stronger. Pineapples have the ability to boost your immune system. So you can free from many common disease. Also your body gets more ability to resist foreign virus and bacteria. Gum swelling is a common problem. Pineapples play an important role in this aspect and give you a healthy and strong gum. Pineapples also help in proper digestion. It can play an important role in protein digestion because it supplies Bro-melanin which have protein digestion capability. Pineapples can maintain vascular integrity and helps in normal blood flow. It also decreases the chance of arthritis. A pineapple is very useful for patient who is suffering from constipation. It can make the stool soft and relief pain. Sometimes pineapples are used to clean intestinal tract. It has the ability to clean intestine from intestinal worm. Many research shows that a pineapple is a useful fruits. It has many beneficial effects in goiter, dyspepsia, bronchial asthma etc. Eating pineapples should be more beneficial if you eat pineapples in empty stomach. If you have an allergy to pineapple then you should avoid it. Don’t mix pineapples with gelatin mixture. I think you get the answer of your question. Pineapples are a superior fruit than many other fruits and have ability to serve many health benefits.